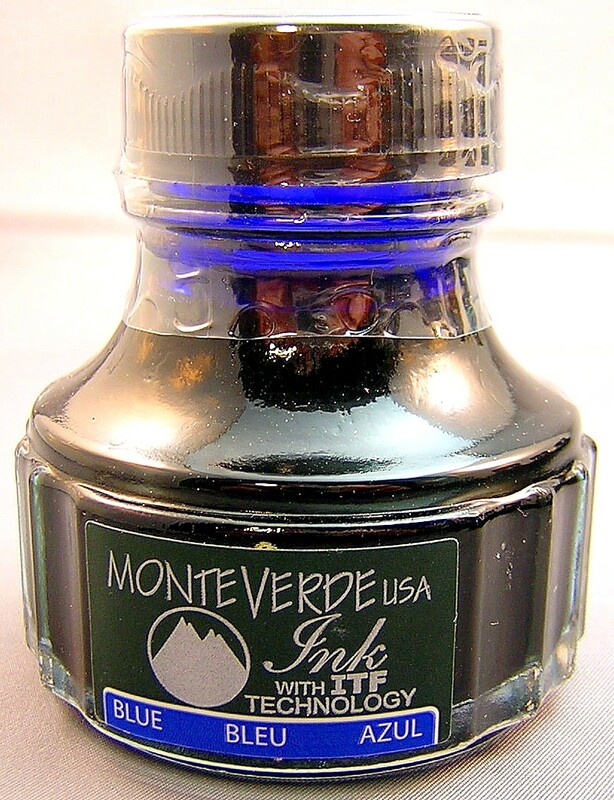 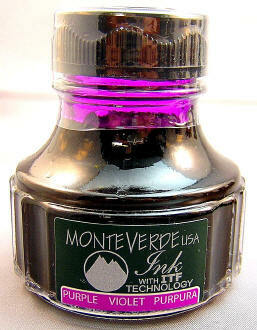 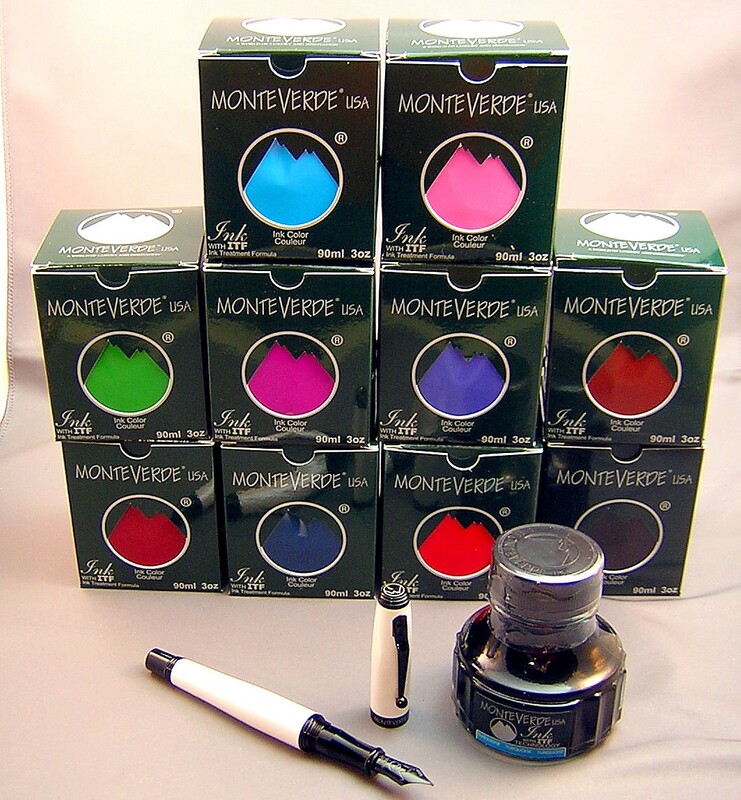 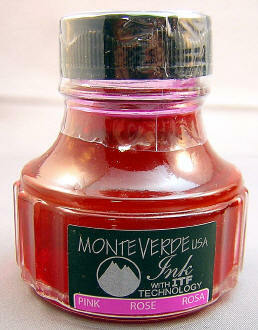 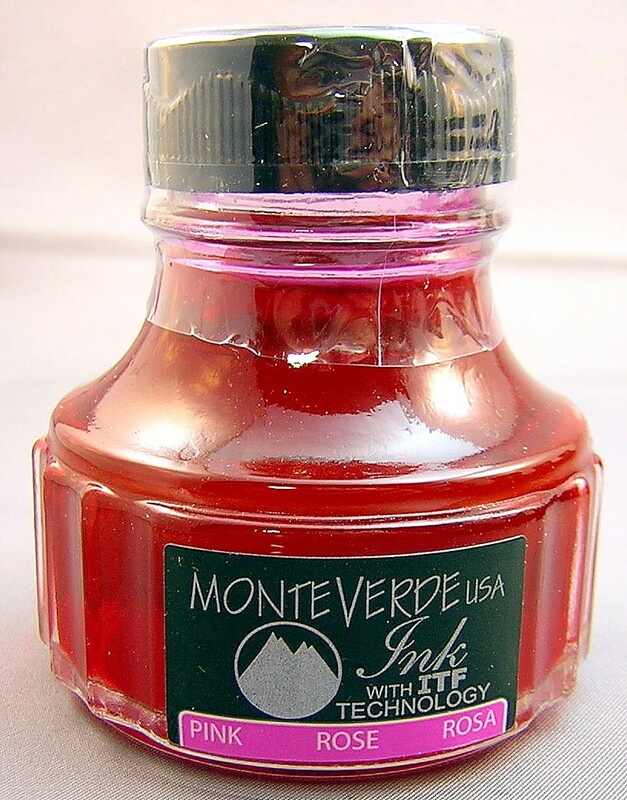 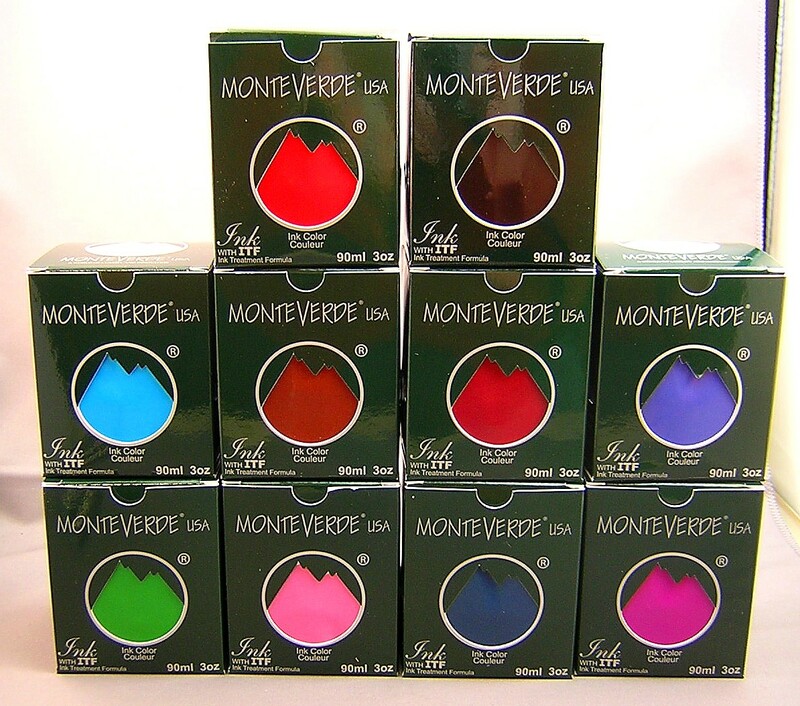 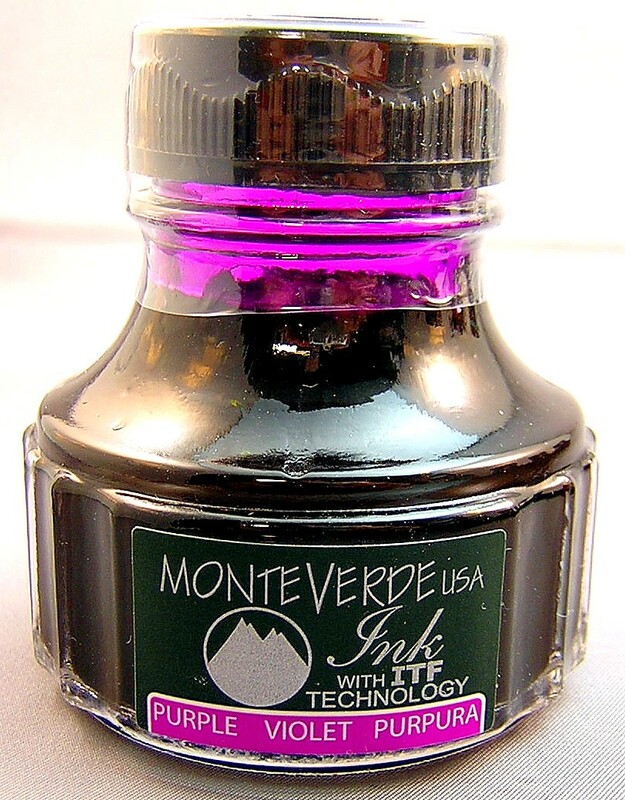 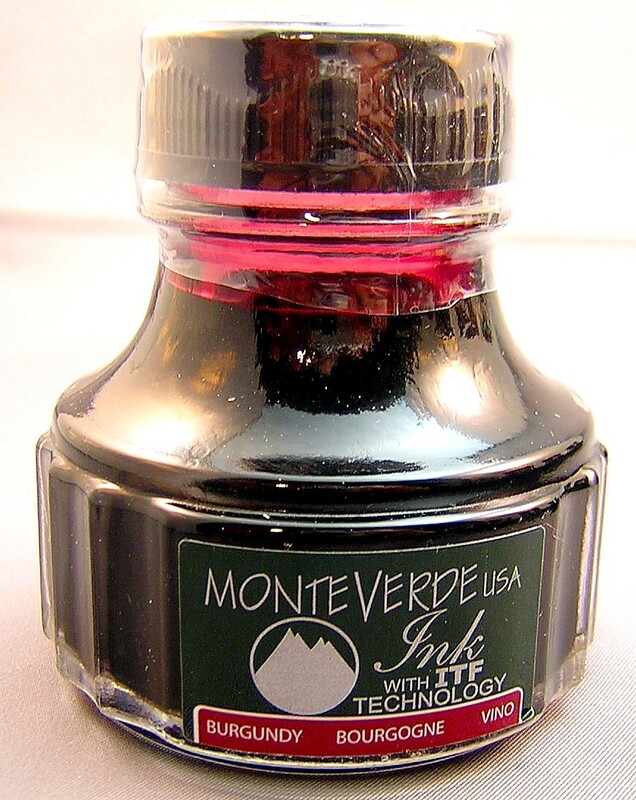 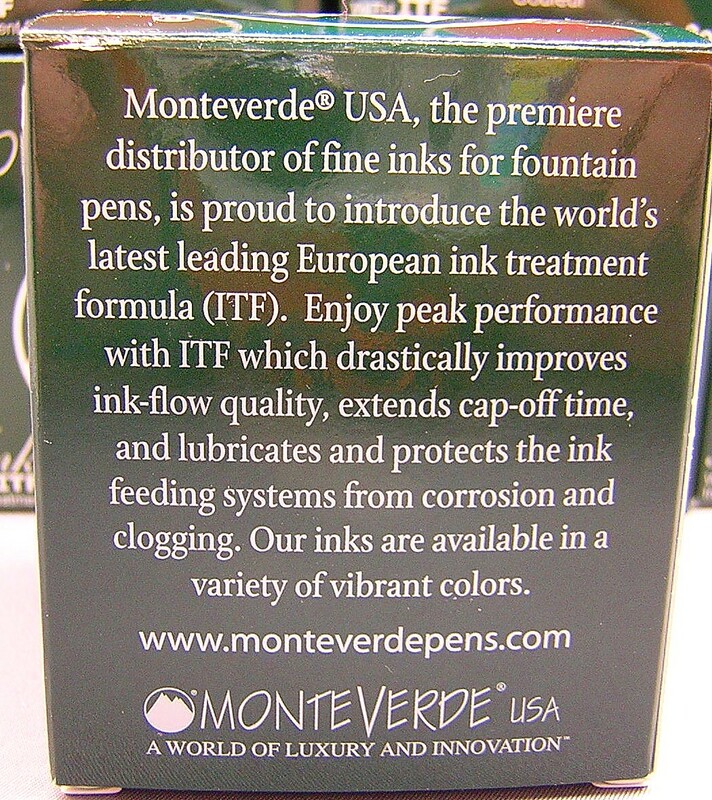 Monteverde bottled ink features the latest leading European ink treatment formula (ITF). 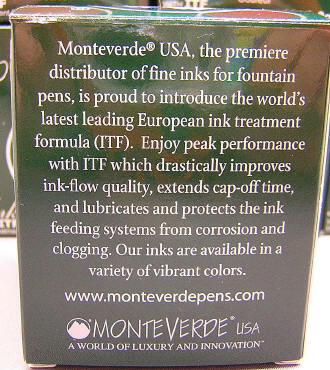 ITF is designed to drastically improve ink-flow quality, extend cap-off time, shorten ink drying time on paper and lubricate and protect ink feeding systems from corrosion and clogging. 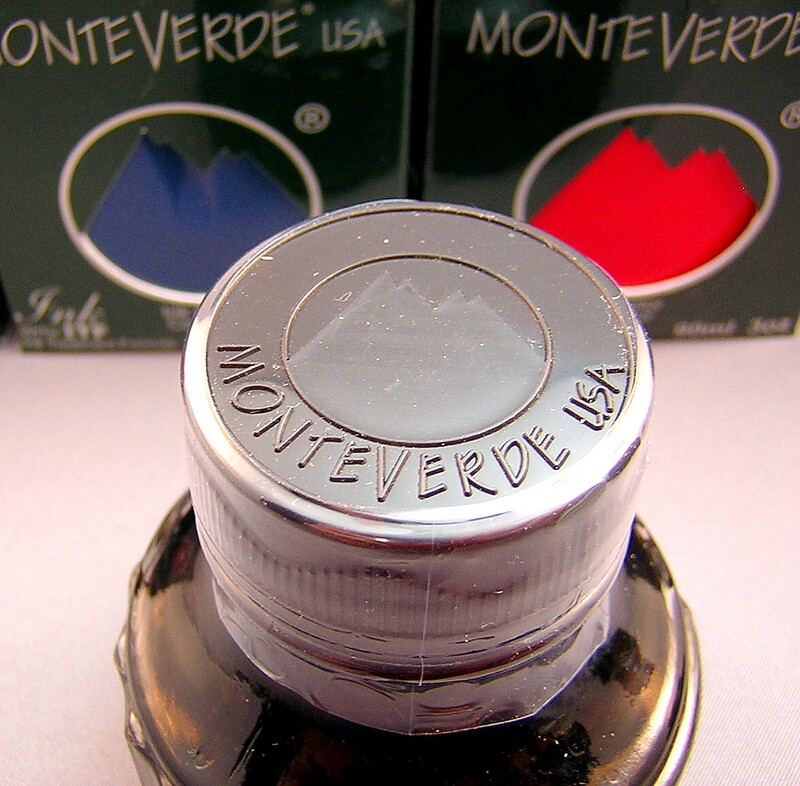 Made in Austria and packaged in the U.S.A., each bottle 90ml (3oz.) 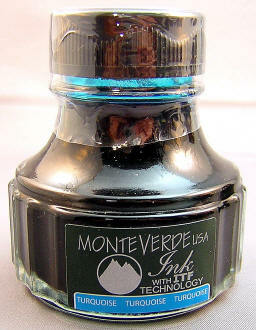 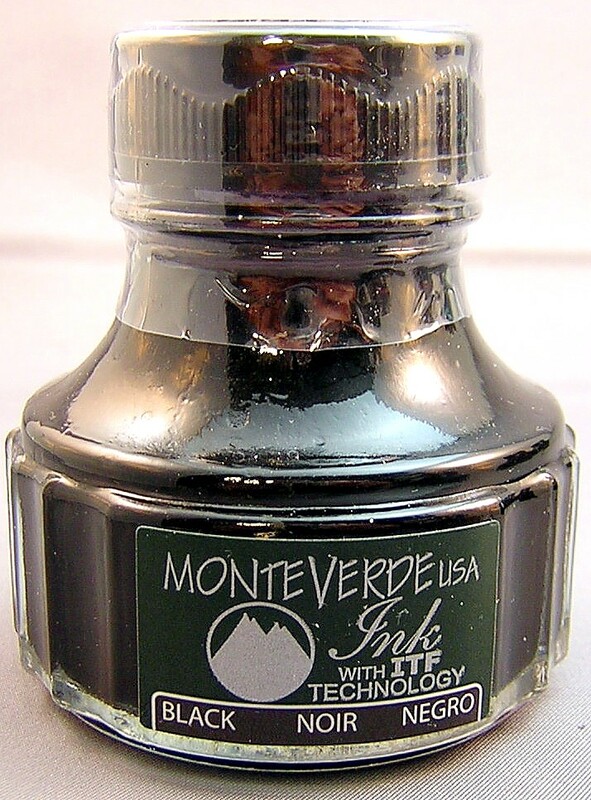 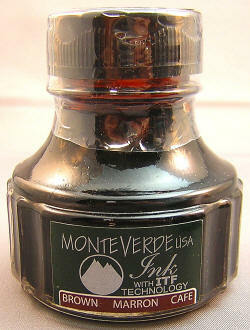 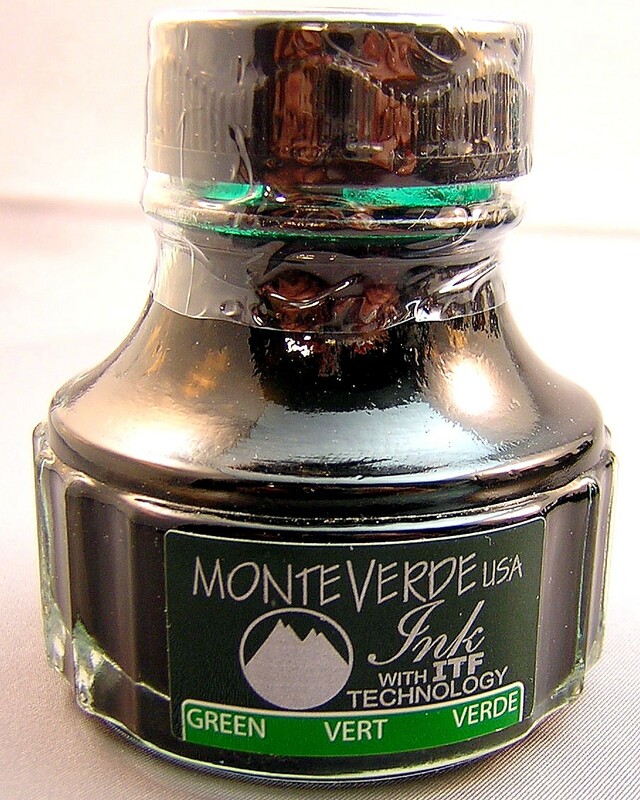 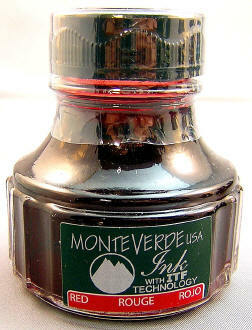 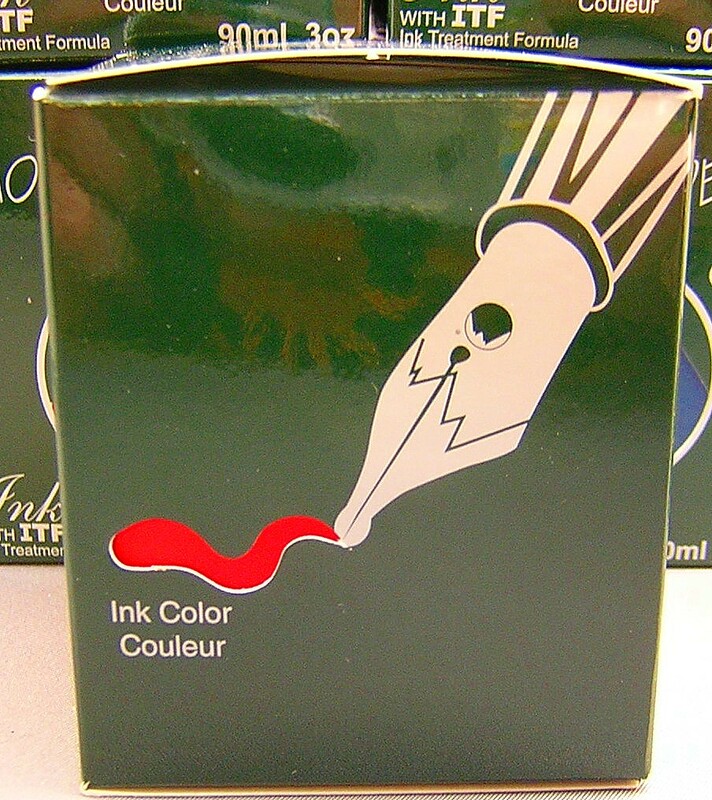 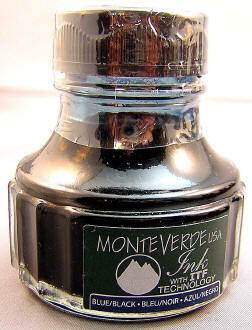 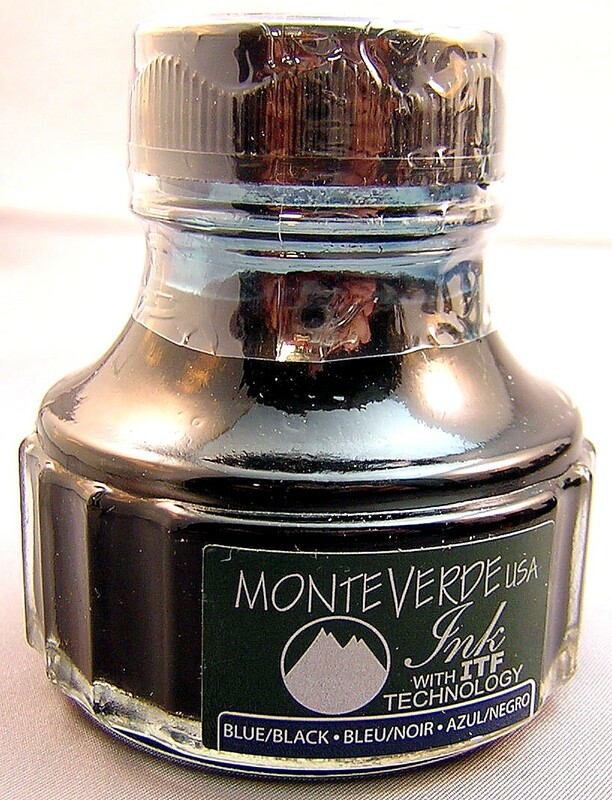 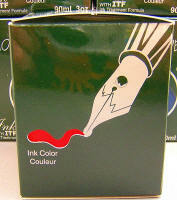 bottle is packaged in a Monteverde green gift box that displays the ink color on both the front and sides. Currently available in 10 vibrant colors, shown below. 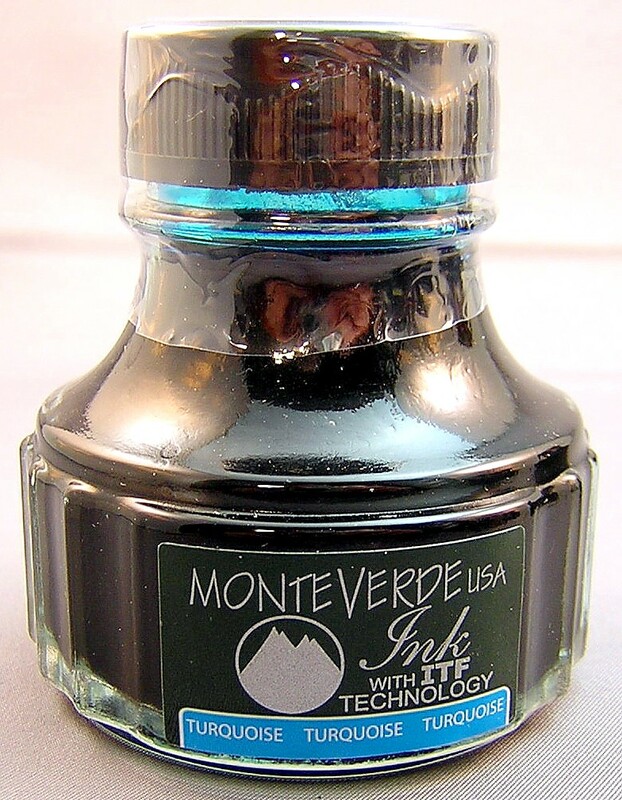 Words always fail to describe how one company's 'Blue' or 'Red' differ from another's (such as Private Reserve), so I'm linking to the growing number of ink reviews about this new line of ink here.